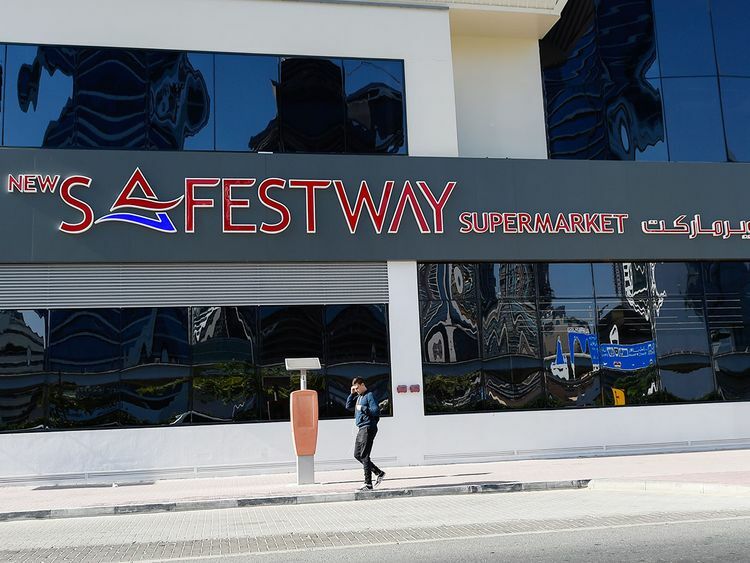 Dubai: The supermarket chain Safestway has been sold to rival brand West Zone, the retailer’s parent company The Giant Group said on Monday. Employing over 700 people, Safestway describes itself as an importer and distributor of consumer goods, food and grocery products. Explaining its decision to divest Safestway from its portfolio, a spokesperson for The Giant Group said that it was shifting its focus away from retail to concentrate on distribution. “We are mainly in distribution, we’re focused on distribution, not retail,” a company spokesperson told Gulf News by phone. The Giant Group recently opened an 85,000 square feet temperature-controlled logistics facility. “So we agreed with management that it would be best to get out of retail, and sell to West Zone who focus on retail,” the spokesperson added. West Zone operates 25 hypermarkets throughout the UAE, in areas such as Al Nadha, Mirdiff and Oud Metha. The company operates two branches, one located in the Al Safa area near Shaikh Zayed Road, and the other located in Jumeirah Village Triangle (JVT). A member of staff in the JVT store confirmed that the company had changed hands and was now owned by West Zone, but the Safestway name would remain. The man, who identified himself on the phone as a store manager named Rakesh, added that there would be no job losses from his branch. The Safestway spokesperson from the company’s corporate office declined to say how much West Zone paid for the supermarket, but did note that Safestway branches would not become West Zone outlets. “They will stay exactly the same,” the spokesperson said. Safestway is reportedly popular with North American expats, selling a large variety of products commonly found in US supermarkets, and is known for its competitive pricing. In December, Gulf News reported that the UAE-based supermarket chain Al Manama Group shut a number of its branches after the owner allegedly fled the country, leaving hundreds of employees without pay, and millions of dirhams in money owed to suppliers. The chain, which runs more than 20 supermarkets throughout the country, had to halt its operations last month after the head office was down in the last week of November. Suppliers, employees and the local sponsor of the Ajman-headquartered Al Manama Group alleged that the managing director of the group had left the UAE in September, leaving salaries unpaid and payments pending.